Good evening everyone! 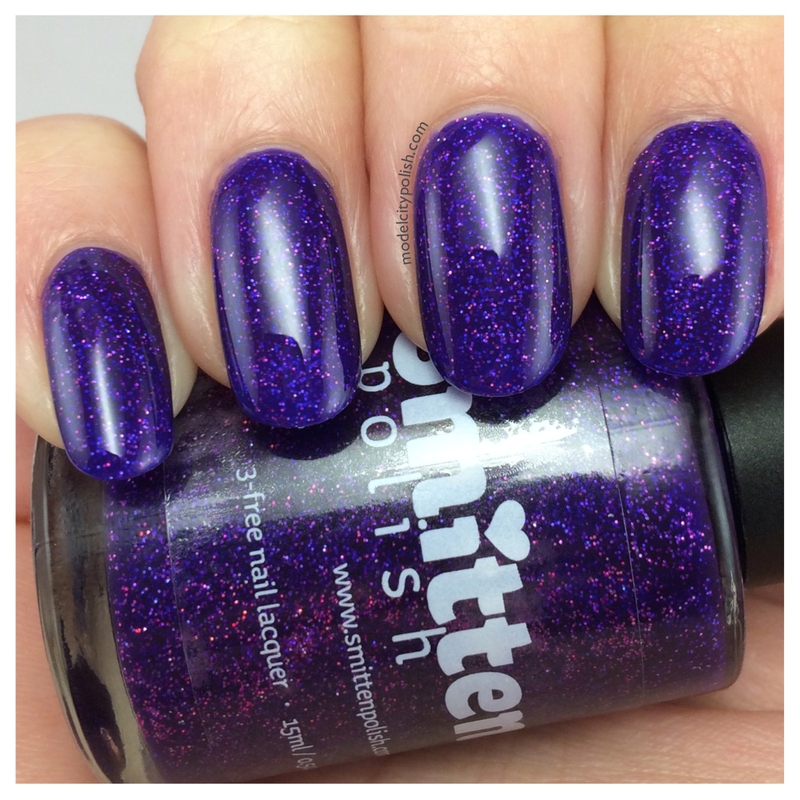 Today is World Cancer Day and many bloggers have joined together to share purple manis to help promote awareness. My family has experience cancer first hand and it is truly a terrible experience. I lost an Uncle at an early age and always wonder where he would be now if he had fought off the vicious cancer. Enough sads! 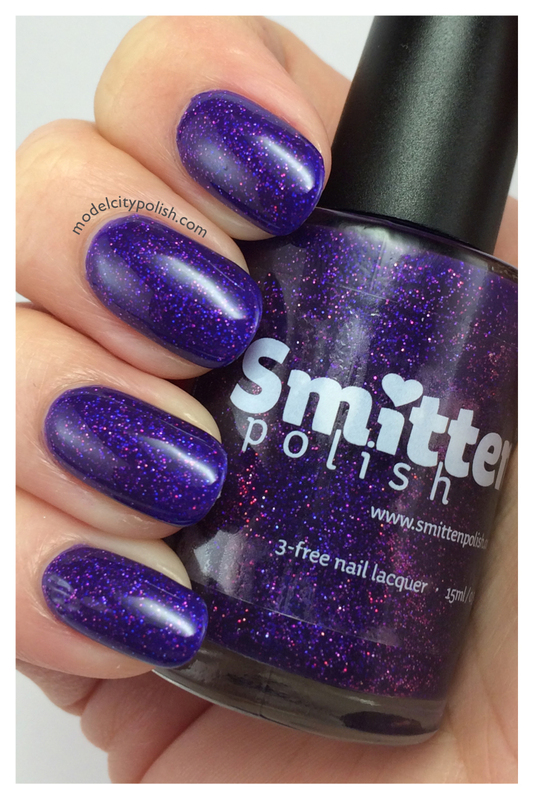 Klaatu Barada Nikto by Smitten Polish is a blurple jelly packed with tiny red and blue holographic glitters. This blend had been a long time lemming and I was finally able to score a bottle during last restock. 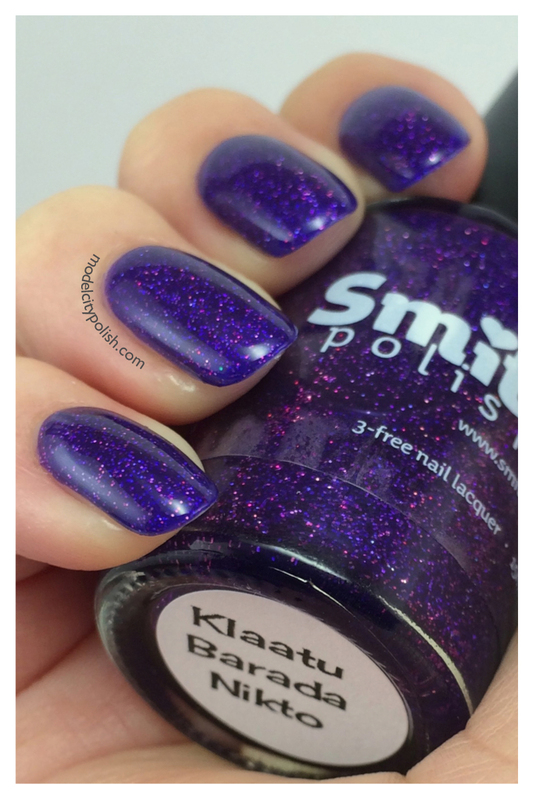 Klaatu Barada Nikto is everything I had dreamed it would be, amazing application and pure beauty. 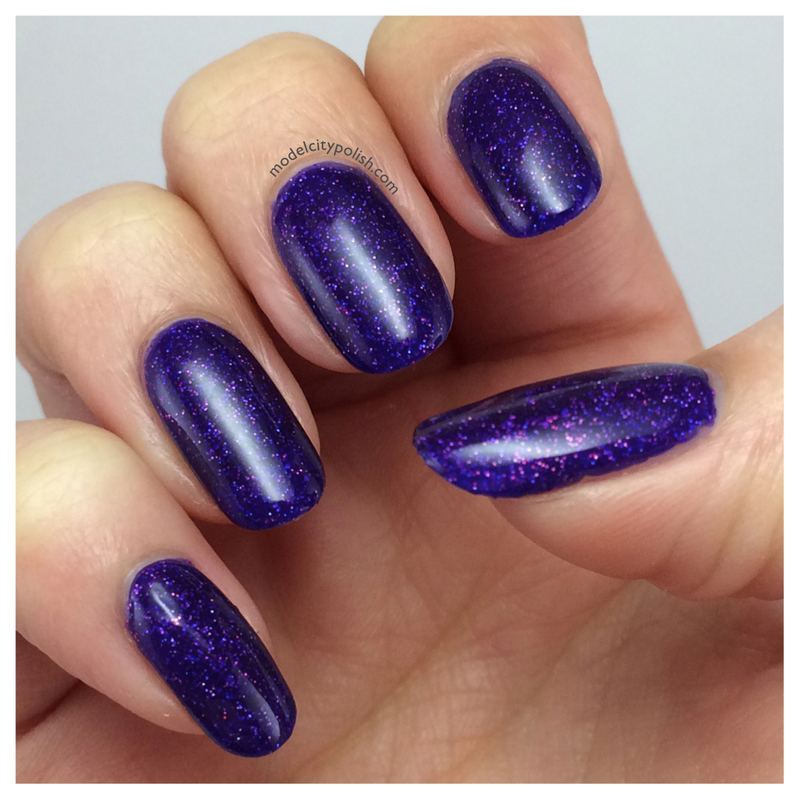 In my photos I am wearing two good coats, a coat of Gelous, and a coat of HK Girl Top Coat. It is everything I could have dream of, truly perfect!